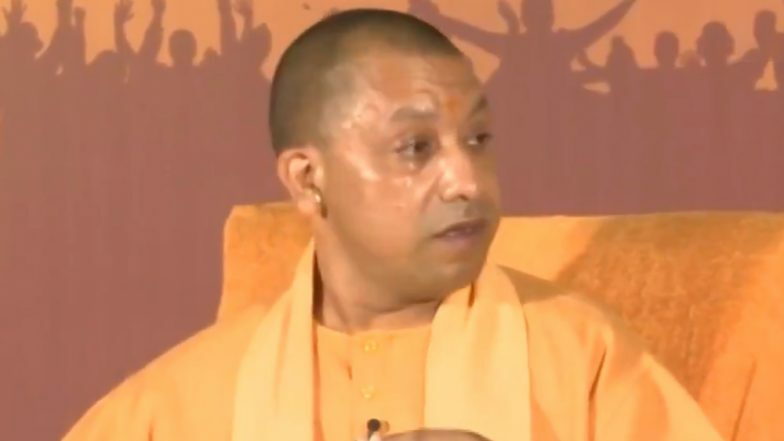 New Delhi, April 11: The Election Commission Thursday issued a show cause notice to Uttar Pradesh Chief Minister Yogi Adityanath for his "Ali" and "Bajrang Bali" remarks while addressing a rally in Meerut. Finding him prima facie guilty of violating the model code of conduct, the commission asked him to respond by Friday evening. Adityanath had compared the Lok Sabha elections to a contest between 'Ali', a revered figure in Islam, and Bajrang Bali, the Hindu god Hanuman. "Agar Congress, SP, BSP ko 'Ali' par vishwaas hai toh humein bhi 'Bajrang Bali' par vishwaas hai (If the Congress, Samajwadi Party and Bahujan Samaj Party have faith in Ali, we have faith in Hanuman)," the UP CM had said. Uttar Pradesh CM Yogi Adityanath Sparks Controversy, Says ‘If Congress, SP Have Faith in Ali, We Have Bajrang Bali’.